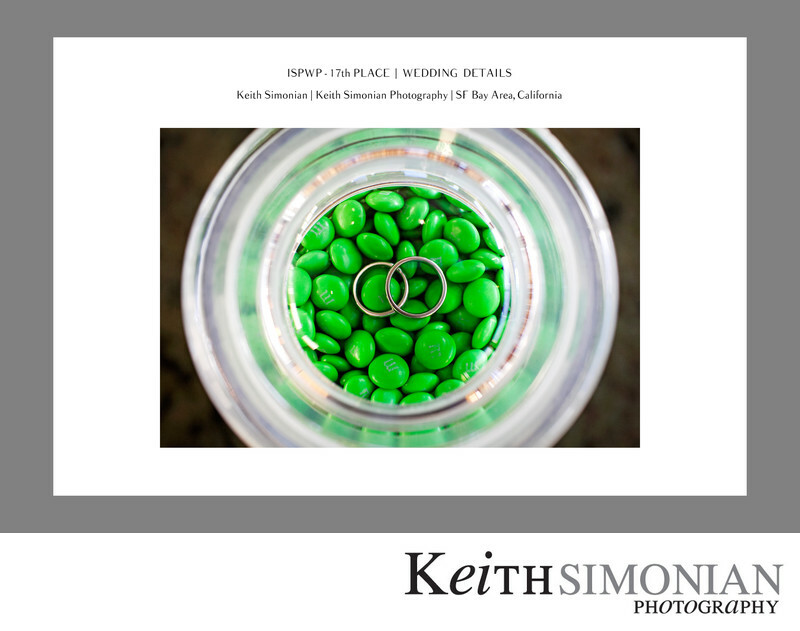 It is always a challenge to find a new and different place to photograph the couple's wedding rings. At this wedding the couple had many different candies placed in glass containers as a sweet treat after dinner. One such container had only Green M&M's in it. This turned out to be a great background for the wedding rings. Location: DoubleTree by Hilton 39900 Balentine Dr, Newark, CA 94560.